Chelsea Green Publishing Company, 9781603586641, 240pp. 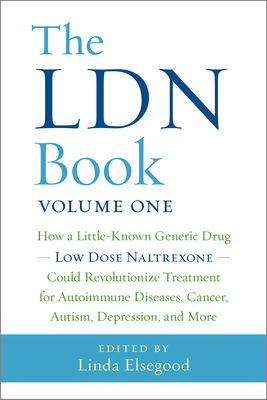 The LDN Book explains the drug's origins, its primary mechanism, and the latest research from practicing physicians and pharmacists as compiled by Linda Elsegood of The LDN Research Trust, the world's largest LDN charity organization with over 19,000 members worldwide. Featuring ten chapters contributed by medical professionals on LDN's efficacy and two patient-friendly appendices, The LDN Book is a comprehensive resource for doctors, pharmacists, and patients who want to learn more about how LDN is helping people now, and a clarion call for further research that could help millions more.